Brittney is driven to teach yoga that empowers. Her classes utilize powerful flows to create energetic, spiritual and physical alignment. She believes that yoga heals and is passionate about sharing the gifts of this transformative practice in a way that feels accessible to every person. Yoga has been a source of strength and healing in her life and a reminder that none of us are alone, in our struggles OR our journey to overcome. Brittney invites students to show up to class exactly as they are and to trust that they have tremendous purpose, courage and support within. 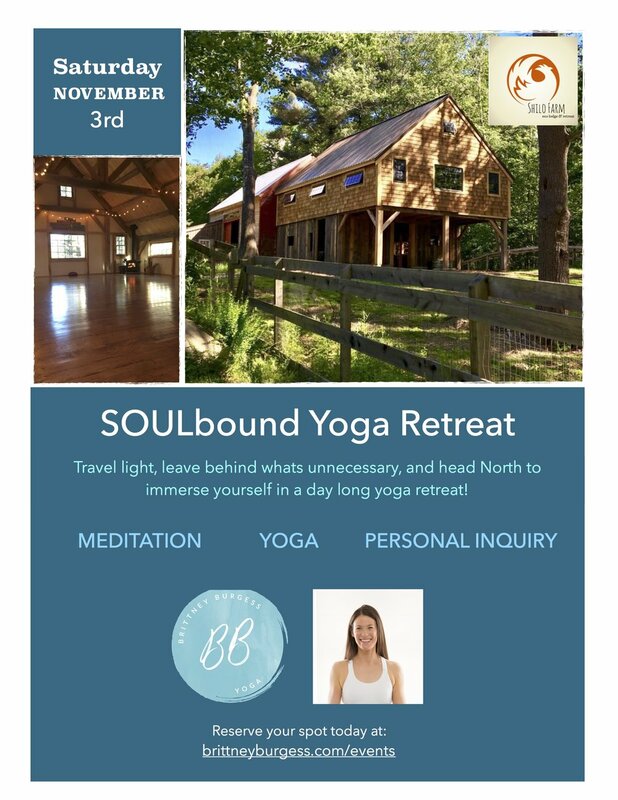 Her classes will both challenge you and hold a space for you to breathe, explore, empower and ultimately walk out of class with mind, body and heart in alignment. Brittney completed her 200 hours with Baron Baptiste in 2012 and is currently completing her 500 hour certification with Jacqui Bonwell. She is a licensed mental health counselor who has trained in Trauma-Sensitive Yoga and holds a Masters Degree in Psychotherapy and Sport & Performance Psychology. Outside of the studio, Brittney has two young daughters, writes, loves time in nature and is on a journey to heal from autoimmune diseases. She seeks to create a community of joy and love, and is filled with gratitude for the opportunity to do this as both a teacher and a student. Brittney teaches in the Greater Boston area, she is a Lululemon Amassador, Baptiste Certified, Meditation & Yin Certified and Balanced Athlete Certified.